Tim and I decided to do a juice cleanse to reset out systems before embarking on a more serious pursuit of healthy eating and rigorous fitness. 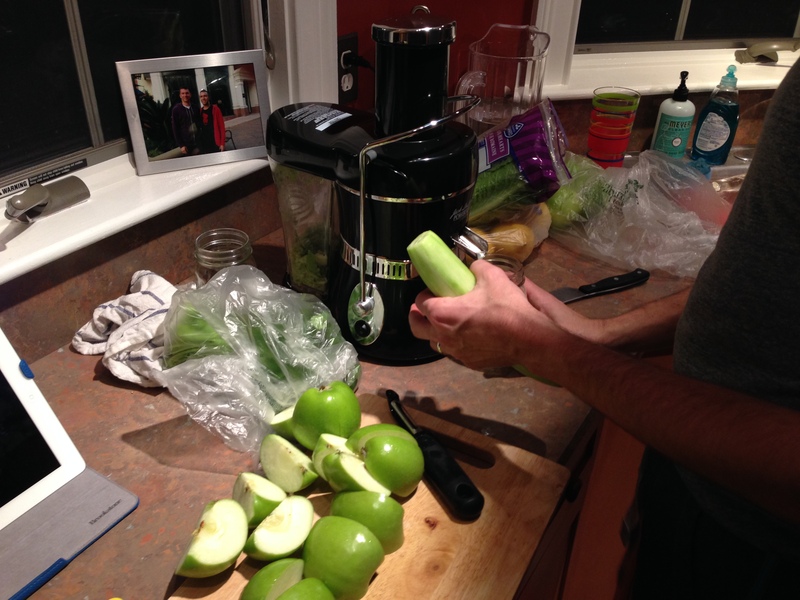 We checked out a few juice cleanses but most required you to live in a city where the vendor demanded fresh delivery. We liked the Blueprint Cleanse the most but deemed it too expensive for two of us. Then we found the similar recipes online and we decided to make our own. Casey, or Miss Cankles, explains in her blog post all the details so I’ll just let you go there and read it if you want to. We used a juicer and a blender. 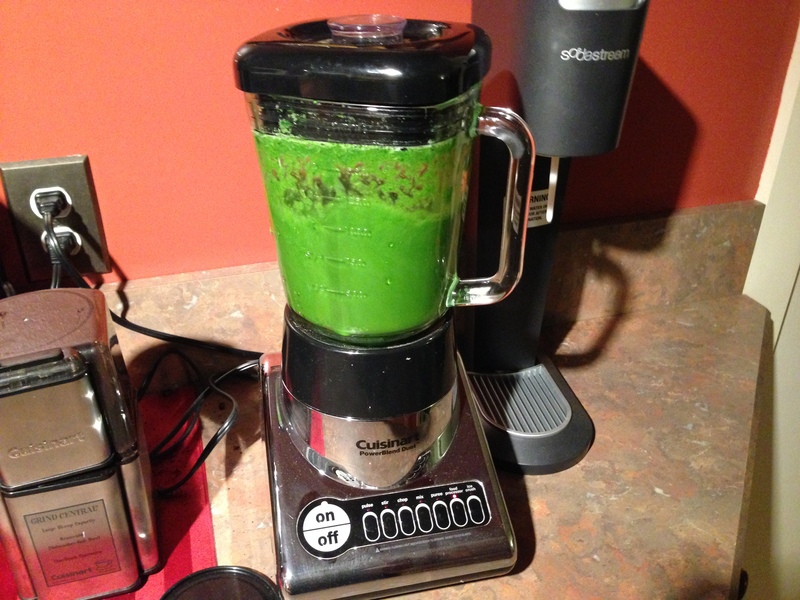 It was a lot of work, especially making the green shakes – you need to drink 3 a day. Kale is really tough to blend and strain. Especially in large amounts. 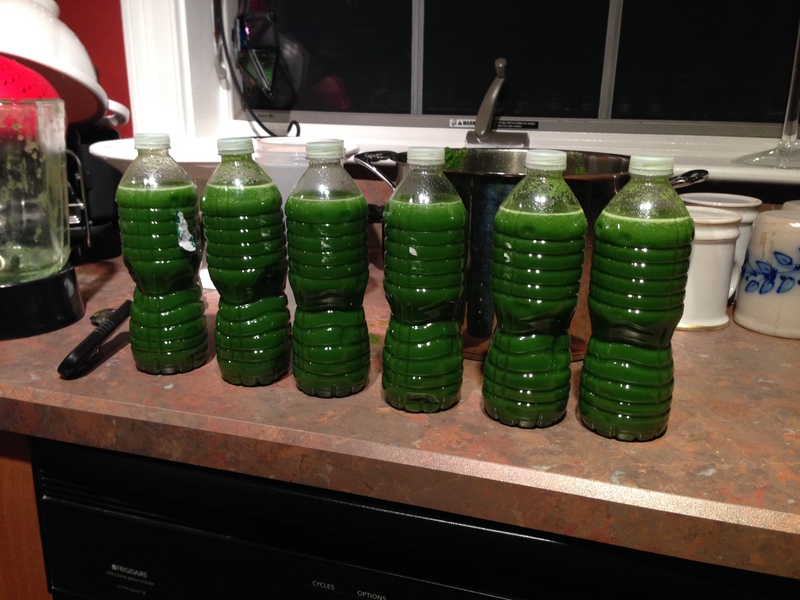 We decided it would be ok to have some of the leaves remain in the green juices. We picked up a case of 16.9 oz water bottles and used the water in the recipes then used the bottles to carry the shakes to work. The juice with the cayenne pepper is tough, even if you like spicy things. If you don’t, even like me, you get accustomed to it. You can have clear broth at night if you are starving. Vegetable is best, but we had chicken. Honestly, the third day was the toughest – in terms of being hungry. We each lost 6 pounds doing this for 3 days. The entire 3 days – 6x2x3=36 shakes cost $75 for two people. Assemble all of your vegetables before and prepare everything. It’s totally worth spending the extra time to plan it out ahead of time. Blending kale is tough. Straining it is tougher. Make sure you have the right tools! The result is totally worth it! 16.9 oz water bottles carry the goodness wherever you need it to go!